Mount Roraima is the highest of the Pakaraima mountain chain in South America and one of the most spectacular geological formations in the world. 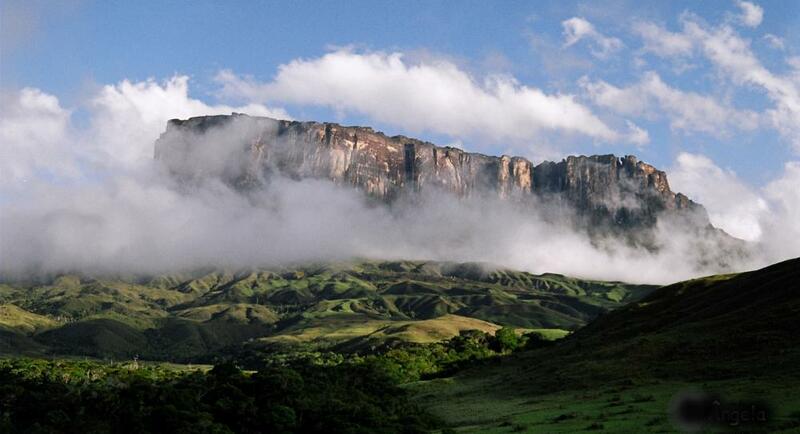 The mountain also serves as the triple border point of Venezuela (85%), Brazil (5%) and Guyana (10%). 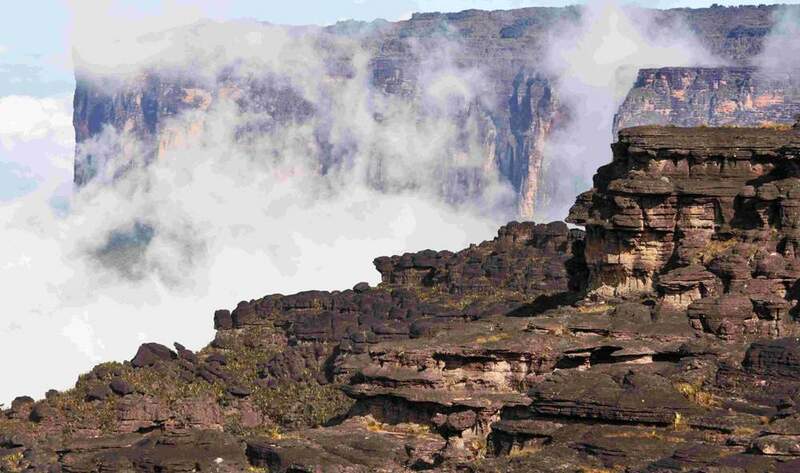 Ever since before Europeans explored the mountain and the plateau, Roraima played a very important spiritual role for the indigenous populations. 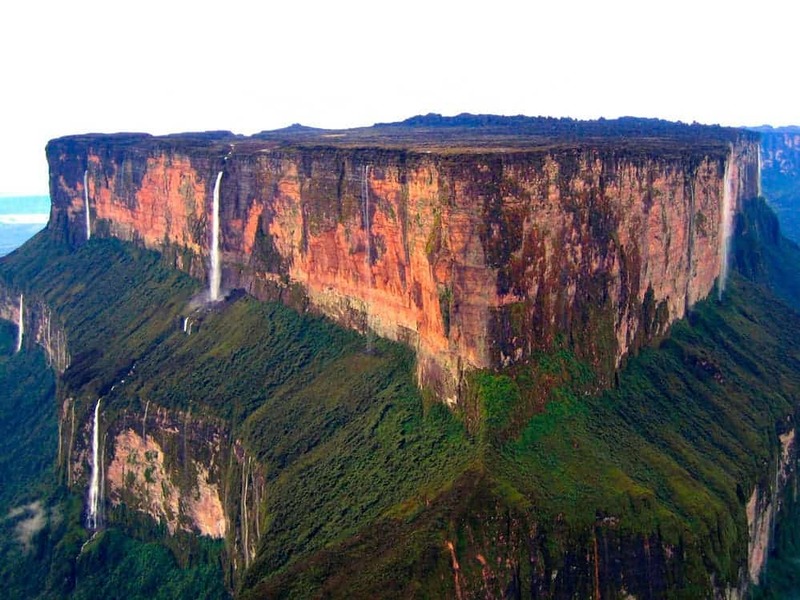 The Pemon and Kapon natives of the Gran Sabana see Mount Roraima as the stump of a mighty tree that once held all the fruits and tuberous vegetables in the world. Felled by Makunaima, their mythical trickster, the tree crashed to the ground, unleashing a terrible flood. Almost the entire surface of the plateau is barren sandstone – one of the oldest geological formations in the world, dating back to two billion years! However, this hasn’t stopped some bushes and algae from developing there; several species are unique in the world, because they developed isolated. Oreophrynella quelchii, commonly called the Roraima Bush Toad, is a diurnal toad usually found on open rock surfaces and shrubland. 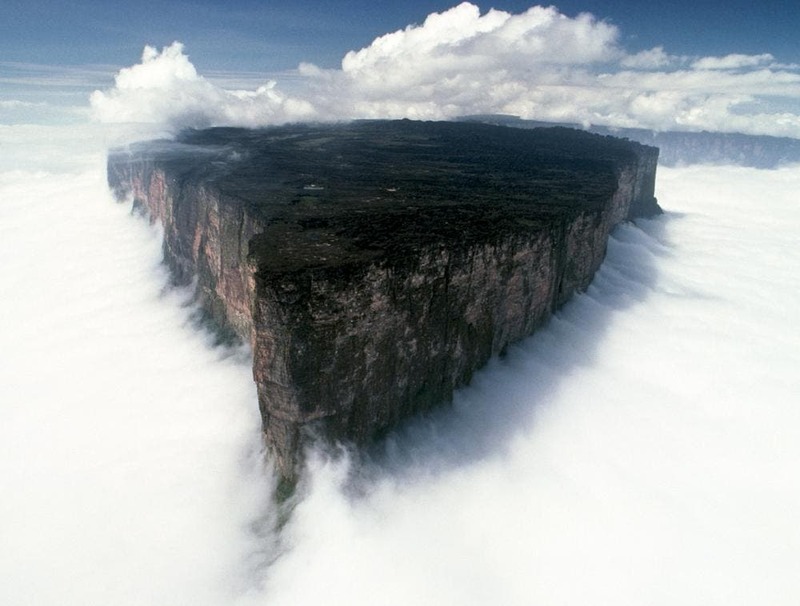 It is also unique to Mount Roraima. The species, like most on the plateau, is considered endangered. Today, Mount Roraima is a fairly popular destination for backpackers, climbers and nature lovers. Most travelers choose to start the ascent from Venezuela, hiring a local guide in the village of Paraitepui, which is reached by dirt road from the main Gran Sabana road between kilometre 88 and Santa Elena de Uairen. The path to the mountain is well marked, but it’s very easy to get lost on the plateau as there are few distinct trails and the peak is almost always surrounded by thick clouds. With some difficulty, you can actually reach the plateau without climbing, with the Paraitepui route; any other approach will involve climbing gear.